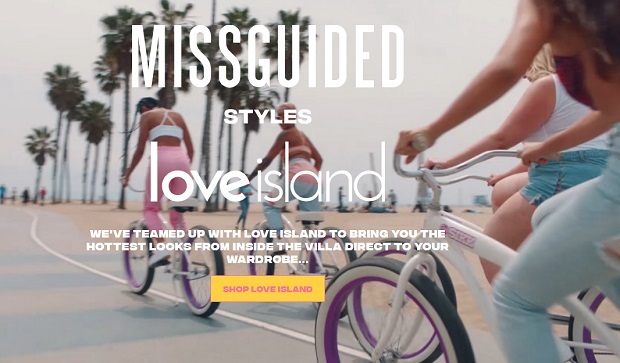 According to Hitwise, the UK’s leading data insights provider, Love Island fans drove a 97 per cent increase to Missguided.co.uk during the two-month period the show was aired[i]. The popularity of the television show also had a knock-on effect on the rest of the UK population, with Missguided.co.uk visits from the general public rising by 9 per cent, too. Fast fashion etailer Boohoo was also a winner from Love Island fans, as the site saw a 75 per cent uplift over this same period, along with newcomer, Shein. Despite no direct association with the ITV series, Shein saw visits up 117 per cent from the show’s fans, in addition to a 30 per cent rise from the general public. In the first half of 2018, Shein was also the fastest rising online fast fashion brand, as it saw a massive 744 per cent increase in website visits. In at second and third place were Oh Polly (446%) and Nasty Gal (158%) respectively. The new research from Hitwise reveals Fast Fashion websites account for 66 per cent of all fashion traffic. [ii] These brands are clearly dominating over falling online visitors to high street brands, as the likes of Zara (-3%), Abercrombie & Fitch (-9%) and Forever 21 (-18%), struggle to gain online traction. With 2018 starting off with rising rents, declining wages, and turbulent weather conditions, Love Island has made an astonishing contribution to the online fast fashion industry, despite today’s tough retail conditions. For more insights you can read the Hitwise UK Fashion Report, here.